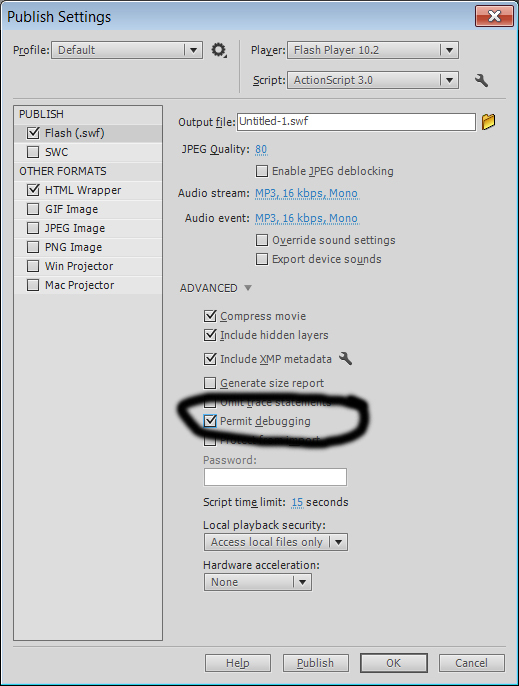 Here some tips and a list of good practices in Flash Development. These tips are usefull for coders and designers. Add a new layers “Actions” on the top of the list. This layer will be dedicated to ActionScript. Then lock this layer to avoid adding graphic elements here. Enabled the Flash debugger to display more efficient error messages. This error is located on the 1st frame on line 3. So useful ! However you must uncheck this option before publishing your swf on the web. Order you symbols and your medias in folders. Name your folders with explicit names. Name your folders by using the prefix “_”. This tip can keep all your folders in the top of the list. And you can name a symbol or a media like your foler. 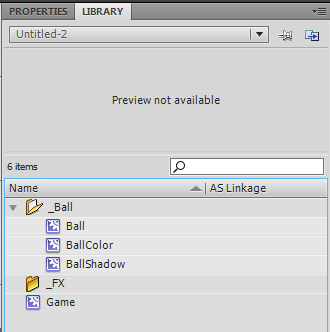 Example: _Ball Folder own the Ball symbol. The library orders elements and folders by alphabetical order. Your library is now more lisible. When you name your symbols or you media, particularly MovieClips, Istrongly recommand using a capital letter on the first character. 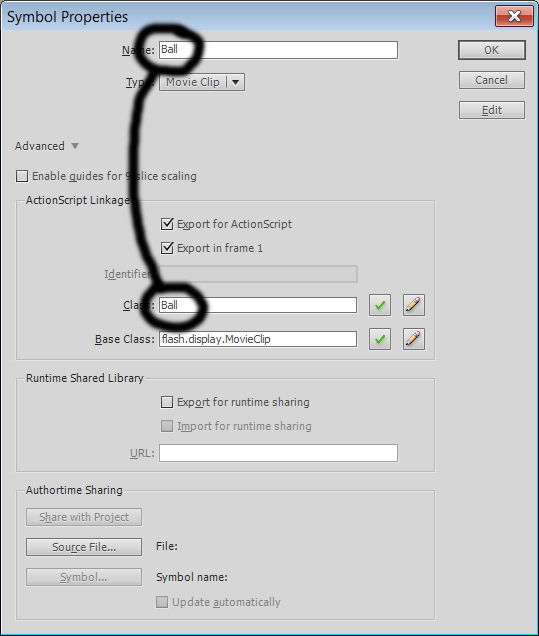 When flash adds a new MovieClip with ActionScript he uses the class name exported for ActionScript. By convention a class name has always a capital letter on the first character. 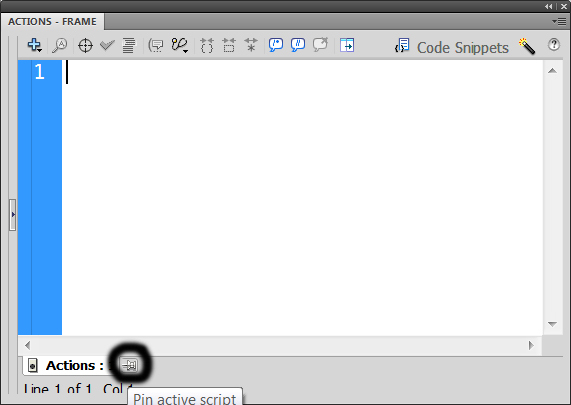 However the symbol name match with the class name when you link the symbol for ActionScript. So keep the same name. ActionScript looks like Java so use the Java naming convention.